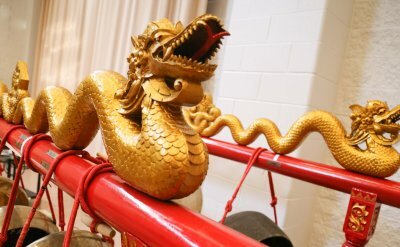 The gamelan — a massive, multi-piece set of percussive instruments — was donated by Duane Gingerich ’69 in 2011. He passed away in 2016, but his dream was finally realized this summer when the Nyai Oyer Gamelan, translated to Sister Oyer Gamelan, arrived in the United States and was dedicated in honor of Professor Emerita of Music Mary Oyer. 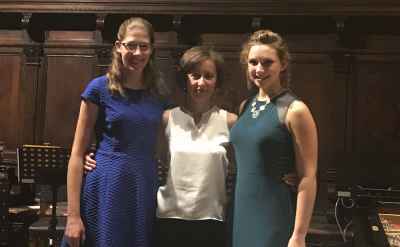 This August, Janell Preheim and Abigail Greaser, two Goshen College music majors, were invited to perform at MusicFest Perugia in Perugia, Italy, a prestigious international music festival, along with Goshen College Professor of Music Solomia Soroka. Goshen College’s Music Together program for young children is celebrating 10 years of family music-making this fall. 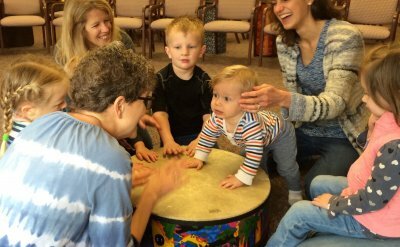 All families are invited to experience the joy of making music together in mixed-age and babies classes in Goshen and Elkhart, now open for registration. 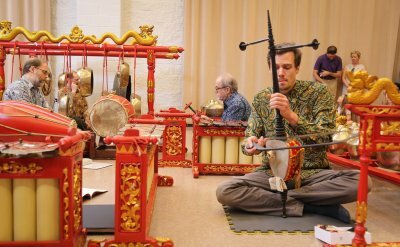 Goshen College is now home to a gamelan － a set of traditional, percussive instruments from Indonesia, gifted by the late Duane Gingerich '69 and his wife, Reti. Series tickets for the 2017-18 Rieth Chamber Series at Goshen College are now available. 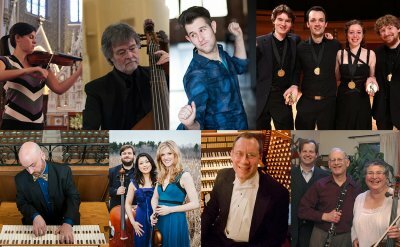 This year’s series will feature six different outstanding chamber music ensembles and organists as it continues to build on its reputation of providing captivating classical music to Michiana. 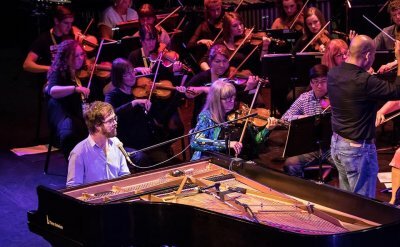 GC Associate Professor of Music Jose Rocha conducted the Elkhart County Symphony in collaboration with musician Ben Folds during a concert on Saturday, June 24. 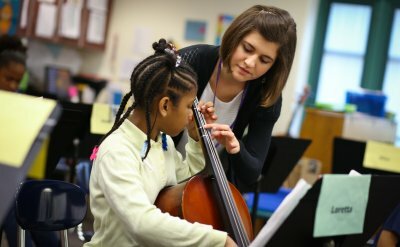 In the first undergraduate program of its kind, Goshen College students are learning to teach music based on the principles of El Sistema. 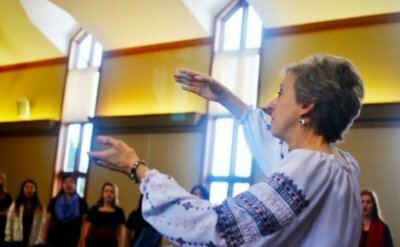 Recent GC grad Maggie Weaver '17 writes about Women’s World Music Choir and its founder, Dr. Debra Detwiler Brubaker '79. 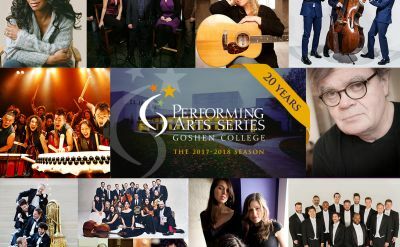 Celebrating its 20th season, the Goshen College Performing Arts Series will again bring world-class performers to Goshen College’s Music Center with an eclectic 2017-18 series featuring music from many genres. 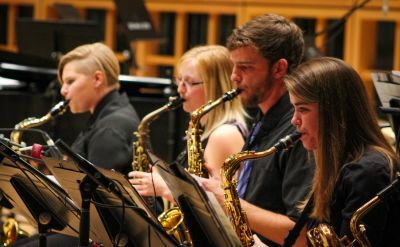 Goshen College’s All-Campus Band and Lavender Jazz ensemble will perform in a joint concert on Saturday, March 25 at 7:30 p.m in Goshen College Music Center’s Sauder Concert Hall.